We round-up applications, trends and new products in the wood screws market. 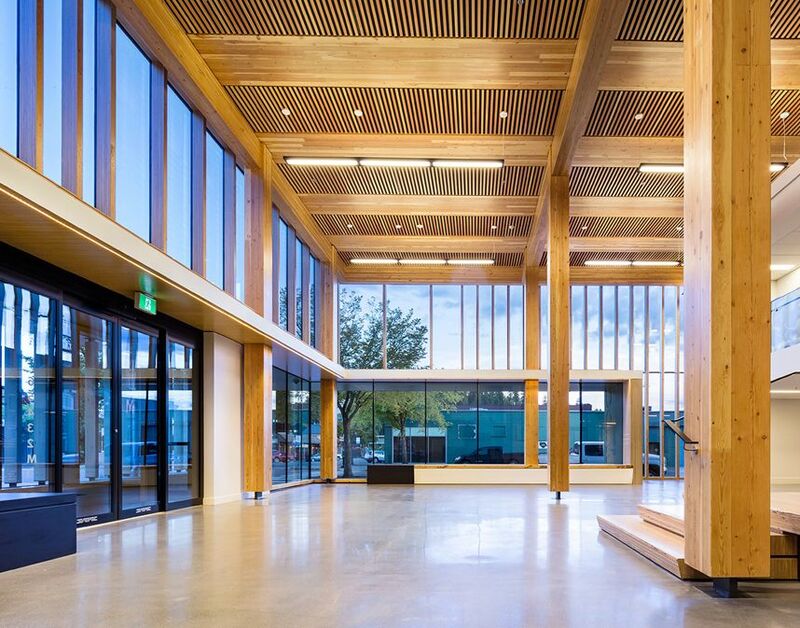 The Wood Innovation and Design Centre (WIDC) in Prince George, British Columbia, Canada, features inventive and conceptual wood solutions in a modern design that can handle day-to-day demands. Also a prime example of an application for the modern use of wood, the WIDC has been designed for social sustainability and durability. This tall wooden building uses more than 1,400 cubic metres of wood. To securely screw together such large quantities of wood, connectors have to comply with particular standards. These guidelines, tolerances and design values are defined in the current Canadian National Building Code “Evaluation Report CCMC 13677-R”. Wood construction screws of SWG Schraubenwerk Gaisbach GmbH have the appropriate approval and are distributed locally by sales partner MyTiCon Timber Connectors Inc. in Canada. The distributor was able to secure the WIDC construction project and contributed 78,000 screws for this building, including ASSY 3.0 SK and ASSY 3.0 Combi screws in the diameters 8 to 10mm and a length of 160 to 430mm. The building was erected in the more modern dry construction method, i.e. without using concrete, while nevertheless maintaining all safety aspects. To convince the government that all standards were complied with, special fire safety tests were carried out. The tests provided evidence that wood, in terms of fire safety, achieves even better results than other materials. During the testing phase the CLT panels were exposed to a fire of 1,600°C. 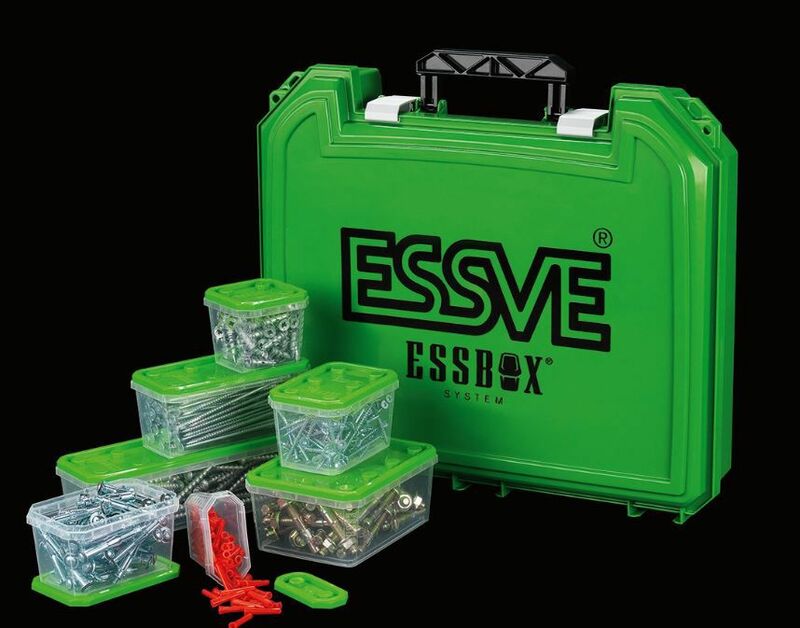 Christofer Lindberg, Product Manager Screws, Essve, writes for Torque Magazine: “A clear trend is the increasing number of wood screws with added functionalities and features. Multiple producers have been seen presenting wood screws with new innovations and designs, with the added features mostly seen on wood screws up to 6mm. 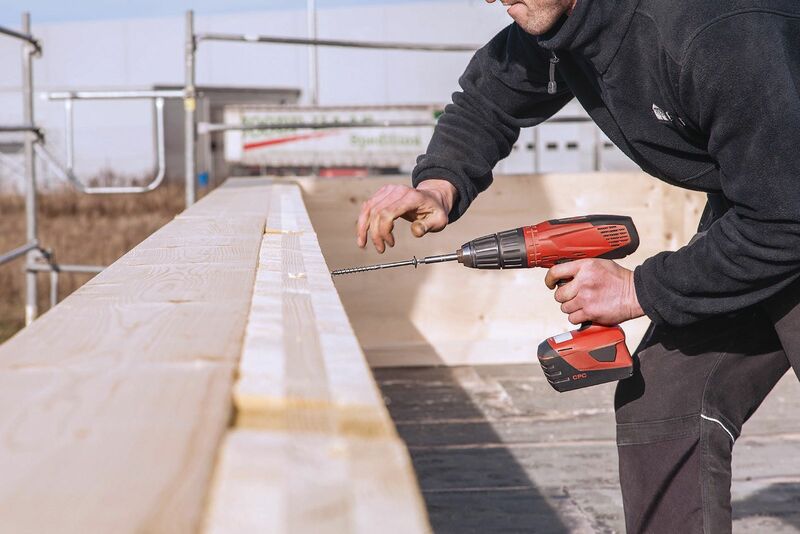 “Another trend is the increasing demand for construction wood screws around Europe, even on markets that traditionally have been dominated by concrete and brick constructions. The trend is visible as a growing number of engineering projects and apartment building projects around Europe use wood constructions. The increasing demand for construction wood screws is a result of higher requirements on sustainability and recyclability aspects on large scale building projects, resulting in concrete no longer being an option as the main material. HECO is expanding its range of TOPIX wood screws to include a version with a larger flange head. The new HECO-TOPIX flange head XL has a head diameter of 22.5 millimetres instead of 18 millimetres, resulting in a greater possible contact pressure and therefore higher load transfer. The tried-and-tested HECO-TOPIX screws are used in a multitude of applications in professional timberwork. The new version of the screw, featuring European Technical Assessment (ETA-11/0284) and a larger flange head, enables the absorption of higher loads than before thanks to the increased clamping surface. As a result, fewer screws are needed. Installation operations can therefore be carried out in a more cost-effective and efficient way. Like all TOPIX screws, the new version can be used quickly and safely with low driving torques. There is no need for pre-drilling, milling ribs at the tip considerably reduce the risk of splitting and additional shank ribs allow for tension-free and easy drilling. The HECO-TOPIX-XL range of part-threaded screws with a diameter of 8 mm is available in 13 different lengths ranging from 160 to 400 mm.